And by planners I mean, of course, account planners, brand planners, strategic planners, brand strategists, creative strategists, marketing strategists, digital and/or social strategists, and probably a bunch of other titles I can’t even think of right now. If one or more of those titles sound like what you call the thing you do for money, then you should probably take Heather Lefevre‘s 2015 planning survey. Take it now. I’ll wait. Thanks! The planning survey is an invaluable tool for us all to know what people are thinking, doing, and getting paid around the world and in different sized agencies. It’s a labor of love from Heather and her friends and she asks so little in return. So thank you Heather, for creating and running the survey, and thank you fellow planners for adding the data. And because Heather is a friend, and super smart, and always awesome at giving me advice, here’s a plug for her new book (which I’ll definitely be buying and reading): Brain Surfing: The Top Marketing Strategy Minds in the World by Heather Lefevre. Heather LeFevre set out on an expedition to apprentice herself with today’s most brilliant marketing strategists, traveling from Beijing to Seattle. The twist? She lived with each of these mentors, in their homes, commuting to work with them each day, and uncovering their principles for building many of the world’s most respected and profitable brands. Brain Surfing is a book that combines marketing know-how with life philosophy. One minute you’ll learn about smart brands on the other side of the world, the next you’ll be inspired to take off on your own adventure. LeFevre guides you through today’s complex marketing landscape, uncovering the secret ways of working of each of her coaches. Brain Surfing will surprise you with how much you learn while thoroughly enjoying the journey. 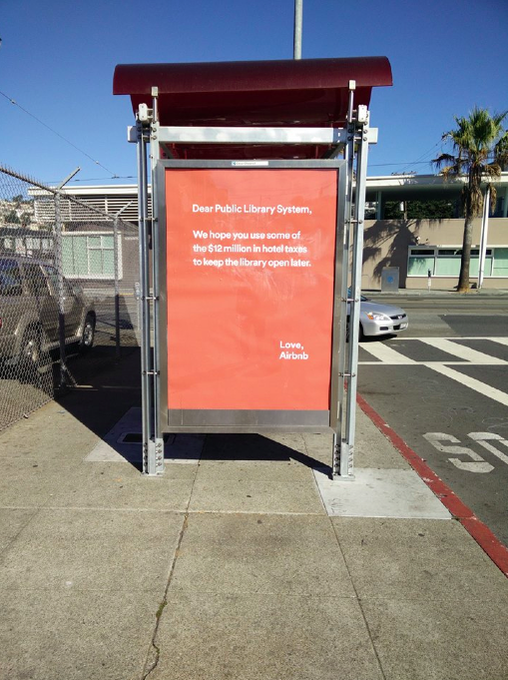 AirBnb is apologizing for these billboards but I like them. Apparently the math is a bit off, but I like the provocative sentiment. 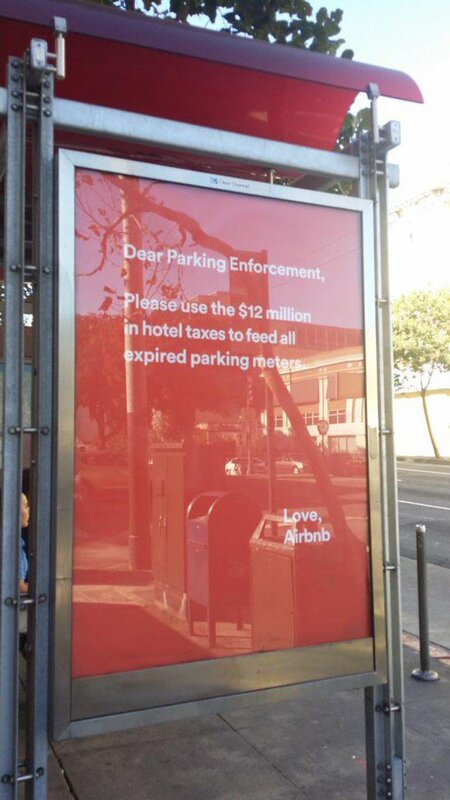 Also, I really like AirBnB. They’ve caused quite the uproar, according to Fast Company. Brilliant creative from Land Rover. A good friend, former boss, and mentor of mine put together a list of the core skills he thinks all planners/strategists should have. It’s by no means final, so feel free to throw in your own thoughts in the comments. Defining the problem: What is the business challenge? Where is the business opportunity? What behavior are we trying to change to achieve our goals? Topline findings from research (secondary, qual, quant, social): What are the truths or commonly held beliefs? How can we challenge current perceptions? POV’s: short and long form: How are people using technology, or digital formats? What is the role of a feature, function, action, or design? What is happening in the category, or comparative companies? Target description/persona writing: What are their needs, behaviors, goals? What is their level of intelligence or interest in the category? What are pain points? What relationships do they rely on? Purchase pathway/journey writing: Think about the purchase funnel or journey: attract, welcome, orient, inspire, compare, decide, purchase, reassure. Brand definition documentation: Positioning/mission/vision/functional and emotional and cultural benefits What are the rational drivers (utility, features, functions)? What are the emotional drivers (the heart, the gut)? What are the cultural drivers (trends, sentiment)? So there you have it. By no means complete. Very cute. Catchy music. and a nice message. Still not going to make me eat a Big Mac anytime soon. I just can’t help but wonder what the licensing must have cost – Batman, the Joker, Mario, Bowser, Pac Man, Chicago Bears, Green Bay Packers, Freddie Kruger, Jason, the Smurfs, and others. This thing must have cost a fortune.